We manufacture pantry & room services which enable in easy functioning and cleaning which is essential to maintain kitchen hygiene and clean. Our range of equipment includes Food Blender, Hand Wash Sink, Hot Case, Juice Dispenser, Commercial Oven, and Conveyor Toasters. These kitchen equipments are widely acknowledged for their durability and unique designs, our products are used for both residential and commercial purposes. 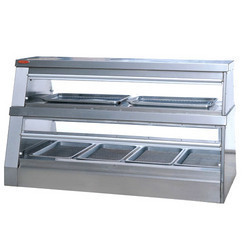 We fabricate and supply Salamander mounted which are used in restaurants and hotels in kitchen which provides instant heating and faster recovery. These products are fabricated using exceptional quality raw material and advanced technology with much latest high end features which is in compliance according to international standards. The offered salamander can be fitted at any corner of the kitchen with less space which is very user friendly, easy to operate and dynamic in nature. 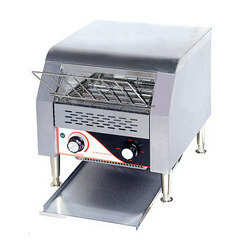 They are used appropriate for grilling, toasting and reheating food items like steaks, fish and lobster. With our expertise, we supply and export ers, which are famous for their compact designs, rigid construction, and easy to use, high performance and also provides noiseless features. These are fabricated using air tight helical coils of membrane and reverse flame technology. Further, our clients can avail these from us at highly competitive prices. The coil type boiler generConveyor Toastates steam instantly and is extremely easy to install and commission. 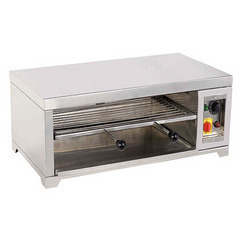 Our ranges of Toaster Slot that we offer are used for commercial purpose in hotels and restaurants. They are easy to operate and power consumption is less. These are available in different specifications based on the requirement of the client at cost effective price. 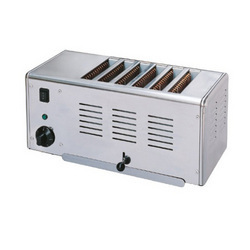 They have features like easy to toast and different toast level according to the temperature adjustment. Our range of Hot Cases Available in various shapes, sizes and designs, these hot cases are light in weight and are easy to install. Our products are manufactured using premium quality raw materials that include stainless steels of premium quality which help in making food stay for longer time making it taste fresh and healthy to consume. Looking for Food Processing Equipments ?